Your permanent residence is “conditional” if it is based on a marriage that was less than two years old on the date you were granted this status. The conditional residence – which begins on the date you lawfully enter the U.S. on an immigrant visa or the date you adjust to permanent residence – is valid for two years. Failing to file a timely joint Form I-751 petition to remove the conditions results in the automatic termination of your status and subjects you to removal from the U.S. In the best-case scenario, you and your U.S. citizen or lawful permanent resident (LPR) spouse would file a joint Form I-751 petition to remove the conditions during the 90 days before your two-year green card expires. Then USCIS would approve the petition, remove the conditions, and issue the 10-year green card, based on documentary evidence showing the marriage is bona fide (i.e. entered into with the purpose of establishing a married life, and not for the purpose of obtaining immigration benefits). USCIS may approve the petition without interviewing you, if the documentary evidence is very strong. But when the marriage is on the rocks, it becomes much harder to file a timely joint I-751 petition and to get the conditions on your residence removed. If the parties are separated but are on relatively good terms, they may submit a joint I-751 petition to the USCIS Service Center. The joint petition must be filed during the 90 days preceding the expiration of the two-year conditional residence. Otherwise, the conditional resident must establish “good cause and extenuating circumstances” for the late filing. Examples of good cause include hospitalization, long term illness, death of a family member, legal or financial problems, having to care for someone, bereavement, serious family emergency, and work commitment, or a family member on active duty with the U.S. military. The couple must also appear for an in-person interview at a USCIS Field Office, if one is scheduled. 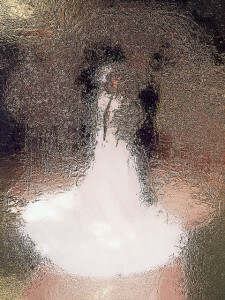 In addition, they must meet a four-part test as follows: 1) the marriage was legal where it took place; 2) the marriage has not been terminated; 3) the marriage was not entered into for the purpose of procuring permanent resident status; and 4) no fee (other than to an attorney for filing assistance) was paid for the filing of the Form I-130 or Form I-129F petition. 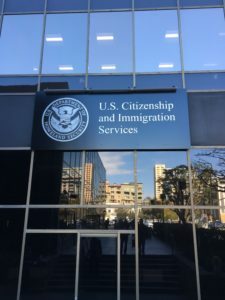 If USCIS finds that the joint petitioners are legally separated and/or have initiated divorce or annulment proceedings, it will issue a Request for Evidence. The RFE will instruct the conditional resident to submit a copy of the divorce decree or annulment within 87 days, along with a written request to treat the joint petition as a waiver request petition. If the conditional resident submits the divorce decree or annulment, USCIS will amend the joint petition to indicate it is a waiver request petition based on termination of marriage. USCIS will determine whether there is sufficient evidence to approve the petition on the merits or whether to transfer the case to a Field Office for an in-person interview. If the conditional resident does not respond to the RFE, or the response does not sufficiently show the marriage has been terminated, USCIS will assess evidence of the bona fides of the marriage. USCIS will decide whether to approve the petition, deny it, or transfer it to a Field Office for an in-person interview. USCIS may not deny a joint petition solely because the parties are separated and/or have initiated divorce or annulment proceedings. But legal separation or initiation of divorce or annulment proceedings could suggest that the conditional resident entered into marriage solely for immigration benefits. As long as the parties prove they married in good faith and the marriage has not been terminated or annulled, USCIS will approve the joint petition (even when the marriage is no longer viable). Conditional residence was introduced in 1986, when Congress passed the Immigration Marriage Fraud Amendment to discourage individuals from entering into sham marriages to circumvent U.S. immigration law. In the 1990’s, Congress passed laws that allow conditional residents, in certain situations, to individually file the I-751 petition so they do not have to stay in bad or abusive marriages to keep immigrant status. If the parties file for a divorce or annulment, or the U.S. citizen or LPR spouse is not willing to sign a joint I-751 petition, the conditional resident must then qualify for a waiver of the joint filing requirement. 1. They entered the qualifying marriage in good faith, but the marriage was terminated (other than by death), and they are not at fault in failing to file a joint petition. 2. 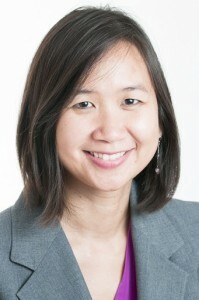 They entered the qualifying marriage in good faith, but during the marriage, they or their conditional resident child was battered or subjected to extreme cruelty committed by the U.S. citizen or permanent resident spouse or parent, and they are not at fault in failing to file a joint petition. 3. Extreme hardship would result if they were removed from the U.S.
Waiver petitions can be filed at any time prior to a final removal order, and do not require proof of “good cause and extenuating circumstances” for a late filing. You may file your I-751 by yourself and request a waiver of the joint filing requirement if you are divorced from your U.S. citizen or LPR spouse. When there’s a divorce, an in-person interview at the USCIS Field Office is likely. Current USCIS policy states that if you file a waiver request petition because you are separated from your spouse or because you are in divorce or annulment proceedings, USCIS will issue a Request for Evidence, giving you 87 days to submit a copy of the divorce decree or annulment. If you submit the divorce decree or annulment, with a request for a waiver of the joint filing requirement based on termination of marriage, USCIS will continue processing your petition and adjudicate it on the merits. If you do not submit the divorce decree or annulment, USCIS will deny the waiver request petition and issue a Notice of Termination of Conditional Residence. USCIS may also serve you with a Notice to Appear (NTA) in removal proceedings before the Immigration Court. After your divorce becomes final, you may refile your waiver request petition with USCIS if you are not in removal proceedings. Or you may apply for the waiver before the Immigration Court if you are placed in removal proceedings. A divorce raises suspicion that the marriage was not entered in good faith. To get the waiver request petition approved, you must submit bona fide marriage documents such as birth certificates of your children; joint mortgages or leases; records of shared bank accounts and credit cards; joint tax returns; photographs of the two of you together and with friends and relatives; correspondences you shared; and affidavits from marriage counselors, therapists, relatives and friends who know about your relationship. You may individually file the I-751 petition when you are in an abusive marriage that subjects you or your conditional resident child to battery or extreme cruelty perpetuated by the U.S. citizen or LPR spouse. This waiver is available regardless of whether you are still married to or still living with the spouse. Battery involves physical violence committed against you by your spouse. This can include slapping, shoving, punching or any other infliction of bodily injury. Extreme cruelty includes nonviolent abuse inflicted on you by your spouse to control or punish you. This includes refusing to jointly file the I-751 unless you give in to unreasonable demands; threatening to report you to authorities and have you deported from the U.S.; threatening to physically harm you; forbidding you from contacting friends and family; withholding food, transportation and other basic necessities; and searching through or destroying your personal property, including important documents. To establish battery, you should present “expert testimony in the form of reports and affidavits from police, judges, medical personnel, school officials and social service agency personnel.” You may also submit evidence that you sought an order of protection against the abuser or present photographs of injuries you suffered. To support claims of extreme cruelty, you should provide objective evidence from professionals recognized as experts in the field; namely, licensed clinical social workers, psychologists, and psychiatrists. A detailed affidavit describing the abuse you suffered is also helpful. You may self-petition to remove the conditions on your residence if termination of your permanent residency and removal from the United States would result in extreme hardship. The immigration statute is silent about who must suffer the extreme hardship, but USCIS normally considers the hardships to the conditional resident and to the children of the marriage. USCIS considers only factors that arose after you became a conditional permanent resident. One example is when the political or economic conditions in your home country have deteriorated, and you have publicly criticized its government, since you became a conditional resident. The term “extreme hardship” is not defined by immigration law. Rather, USCIS generally applies case law regarding applications for suspension of deportation or waivers of inadmissibility. USCIS will consider factors such as your age, health condition, ability to obtain employment in the home country, length of residence in the U.S. and family ties in the U.S. Other factors include the financial difficulties and emotional hardships you would suffer if you were removed from the U.S., as well as the current political and economic conditions in your home country. Although the statute itself does not require you to prove a good faith marriage, you must prove extreme hardship if you are removed from the U.S. Such hardship is significantly greater than the hardship that one would ordinarily experience upon being removed from the U.S. The most recent version of the Form I-751, dated 04/11/13, does not indicate that the waivers are mutually exclusive or that the conditional resident must select only one of the possible grounds for a waiver. Some USCIS officers or immigration judges, however, might instruct you to choose one waiver. If the U.S. citizen or LPR spouse dies during the two-year conditional period, a separate waiver is available on that basis. A copy of the death certificate and proof of the bona fide nature of the marriage must be submitted. An experienced immigration attorney can help you file a well-documented Form I-751 petition, as well as choose an appropriate waiver, if necessary. The attorney can also prepare you for the interview and attend it with you, if USCIS schedules one. A denial of petition to remove conditions or a termination of conditional residence subjects you to removal from the U.S., so seeking accurate legal advice is crucial.